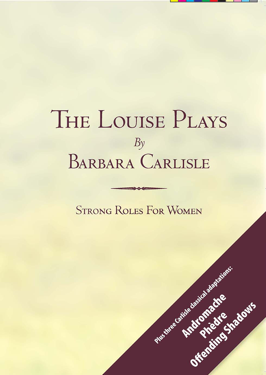 Barbara Carlisle’s five “Louise” scripts, written over a fifteen year period, center on the adventures, politics, love affairs and self discoveries of a sharp witted, vulnerable and tough older woman. We meet her in her late forties and she is retired and calling for revolution in her last incarnation. The plays have all found audiences and actresses happy to inhabit Louise. They are published together to invite women to take her on—as well as the cast of fascinating characters—both male and female—that she sweeps into her world.